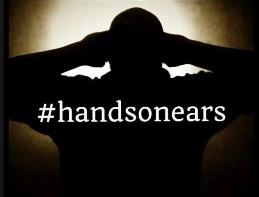 The Hands on Ears campaign was setup by Danielle Williams in 2014, with the aim of raising awareness of the challenges faced by deaf children. The idea for the campaign came after Danielle’s son Alfie was diagnosed as being profoundly deaf, following a virus that he contracted in November 2012 at only 18 months old. We have made improvements to the way you can manage your assessments. Learning Labs have launched an innovative learning resource for British Sign Language (BSL). Learning Labs have teamed up with Signature to develop the 'Learn British Sign Language FlashSticks®' to support people learning BSL and present the visual language as an engaging and useful choice alongside other foreign language options. Practice Tests for BSL320 and BSL321 are now available in ‘My Signature’ for centres that are approved for these units. Please log into ‘My Signature’, and click on Current Centre Approvals. The Practice Tests can been accessed directly under the list of units you are approved for. A Bill to promote the use of British Sign Language has been introduced in Scotland. The Bill, which has been widely supported within the Deaf community, will aim to raise awareness of BSL in Scotland and will also look to improve the services available for Deaf people.